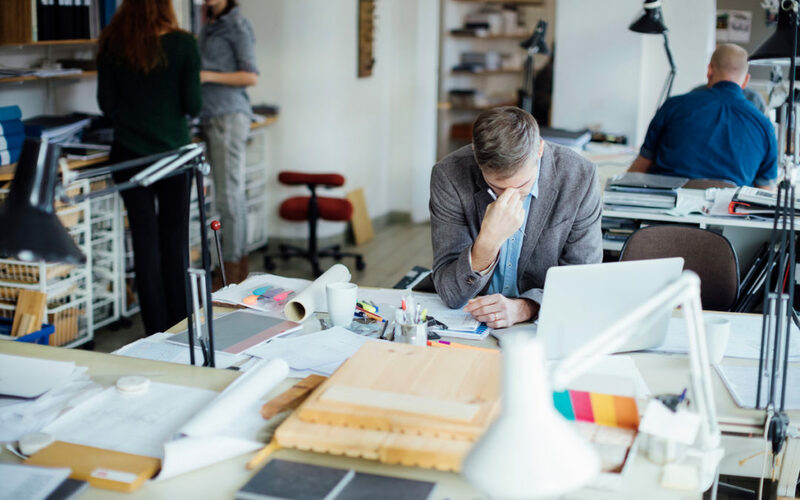 Poor indoor air quality in the workplace can affect the health, comfort and well-being of your employees, leading to reduced productivity, time away from work and even workers’ comp implications. Due to the severity of the problem nationwide, Federal OSHA has published a handbook, “Indoor Air Quality in Commercial and Institutional Buildings,” which focuses on how to prevent or reduce indoor air quality problems. On average, office workers spend approximately 40 hours a week in office buildings. These workers also study, eat, drink, and, in certain work settings, sleep in enclosed environments where make-up air (i.e., fresh air added to recirculated air) may be compromised. For this reason, some experts believe that more people may suffer from the effects of indoor air pollution than from outdoor air pollution. Indoor air quality has been identified by the Environment Protection Agency (EPA) as one of the top five most urgent environmental risks to public health. And the Centers for Disease Control and Prevention estimates that the majority of Americans spend about 90% of their time indoors. Failure to respond to indoor air problems can lead to a number of adverse health consequences. Symptoms may include irritation of the eyes, nose and throat; headaches; dizziness; and rashes. Muscle pain and fatigue and can easily be mistaken for other illnesses. Also, poor indoor air can be linked to asthma and hypersensitivity pneumonitis, according to OSHA. Long-term effects of poor indoor air quality may include respiratory diseases, heart disease and cancer. Many of the symptoms from poor indoor air quality can be mistaken for other illnesses. The typical clue that someone is suffering from poor air quality in the workplace is that they feel ill while inside the building, and the symptoms go away shortly after leaving the space, or when away from the building for a period of time, such as weekends or vacations. the presence of internally generated contaminants from the use of cleaning and disinfecting supplies and aerosol products. In addition, some buildings generate their own gasses due to materials used in their construction. OSHA recommends regular preventive maintenance to ensure systems are operating properly. Placing office furniture and equipment in areas based on the adequate air circulation, temperature control, and pollutant-removal functions of the HVAC system. Regular maintenance of your HVAC system and regular replacement of air filters. Ensuring that you have a well-designed, well-constructed and well-maintained building to prevent and control excess moisture and microbial growth. Determining the sources of persistent dampness in the workplace, and eliminating them. Strictly adhering to your housekeeping schedule and using HEPA-filtered vacuum cleaners. Integrating indoor air quality concerns into purchasing decisions. Working with the building manager to ensure use of only necessary and appropriate pest-control practices; using nonchemical methods when possible. Working with building management and the contractor before starting to remodel or renovate to identify ways of minimizing building-occupant exposure, and to ensure that the air-distribution system is not disrupted. Encouraging building management to develop a preventive indoor air quality management program following guidance issued by the EPA and the National Institute for Occupational Safety and Health. Being familiar with the building management’s program and methods for mitigating or resolving indoor air quality problems. It is especially important that you know who to contact if you have an office in a mixed-use building where pollutants may emanate from other sources in the building. Water and maintain office plants properly. Avoid bringing products into the building that could release harmful or bothersome odors or contaminants. Notify the building or facility manager immediately if they suspect an indoor air quality problem.